Started as a casting manager at a time when that profession in Slovenia was as common as E.T. She climbed the ranks in TV & film production as a production manager, executive producer, script supervisor, AD, etc. She mastered event management in all its variations while freelancing for marketing and event agencies and finally embraced independence with Pirana Productions. A few years ago, a handful of dedicated individuals decided to face the challenge and put Slovene fashion on the map. The Zvereene Institute was established and Ljubljana Fashion Week was born. Norbert Pycha has been dealing with event management already since 1998. In 2000 he co-founded Event Arena. He remains the co-owner of this company that has become one of the leading Czech event marketing companies, and conference and teambuilding organisers. Norbert also performs and lectures at professional events, drawing on rich experience both from the preparation of various events and from the management of his own company. This year he co-founded Event Fest – the largest Czech event for event professionals. 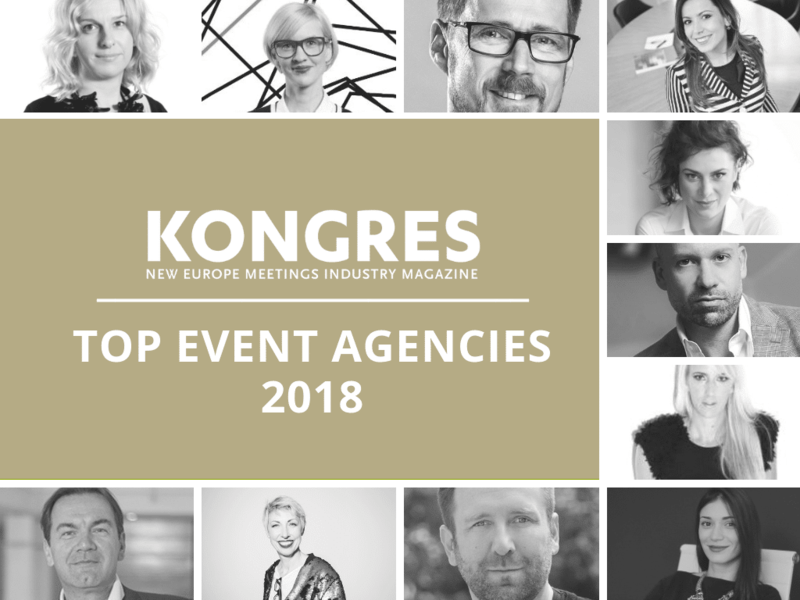 Anja Rebek is one of the key representatives of the Slovenian event management industry and has been active in the world of communication and marketing for more than 10 years. In 2014 she co-founded FABulatorij, a regional company for event organisation and experiential marketing. Since its inception, FABulatorij has created a highly productive professional team that offers strategic consulting, creative conceptualization and project execution, as well as event management and PR services in the fields of corporate marketing communications and entertainment management. Vision Event is a five years old event management, marketing, and PR agency, doing business in Montenegro. Ivona Dabetić Jovović is besides being the owner and director the Vision Event, also a co-founder of regional Convention of women of Western Balkans with the main idea of empowering women in society. She is also the founder and president of NGO „Brini o sebi“ with the main goal of promotion of self-care and prevention of breast cancer. She is a moderator and speaker. She is a proud mother of an 8-year-old boy. Ognena Vasiljevik has founded her own events agency in Skopje, Macedonia. In its first year of existence, Momentum Inc. signed three innovative, large scale projects – the Health, Fitness & Wellness Expo, the Fashion & Lifestyle Expo as well as Showtime. The projects have by now grown into a tradition and are pivotal to the development of the events industry in the country. The agency is also realizing a number of events for clients from the corporate and NGO sectors in the country. Since 1999 Ivo Franschitz has been involved with a number of national and international educational institutions and sharing his experience and knowledge through a variety of speaking engagements. Before founding ENITED, he was for 17 years owner and creative director of a leading European Event marketing/management company dm&c. In 2015 he founded ENITED Business Events GmbH from the previous dm&c company. Enited is a peerless specialist and consultant of sophisticated business events. Among other eminent positions, he also holds member positon with EMBA (Event Marketing Board Austria). Established in 2002, EX-ALTO was the first Croatian agency providing experiential marketing and tourism services. In tourism EX-Alto has been mostly creating tourism experiences through leisure and entertainment in hotels and local communities. The EX-ALTO team of 7 permanent employees, along with numerous partners-professionals, constantly introduces new, innovative services to in key areas of tourism and event management. Since its beginnings, EX-ALTO has provided various lifetime experiences for more than 200 satisfied clients. One of the key components in this success has been Antonia Radić. M2Communications is a creative and brand experience agency. Miro Antić has 15+ years of international experience in the field of marketing and business development and has introduced a new dimension of event production by having designed one of the most spectacular in the region. He has participated in campaign development both in Serbia and abroad for global mega brands, such as BMW/MINI, Porto Montenegro, Microsoft, Fiat Chrysler Automobiles, BASF, Samsung, Rolls-Royce, Mercedes-Benz, Calzedonia, Jaffa Cakes, Vip Mobile, etc. He led his agency to several international consecutive awards. Mladen Lulić is the Slovenian enfant terrible with 20 years of experience in marketing and with three successful companies in his ownership. He has been a co-owner and technical director of Paideia Events since 2008. Since its inception in 2005, the Paideia Events has had in its organisation an admiring list of projects spanning from corporate events, promotion and entertainment, concerts, professional, charity events and its own Paideia Events. MPG is the leading sales and marketing agency in Southeast Europe providing services in 8 countries with offices in Slovenia, Croatia, Serbia and Macedonia. It works for regional and global companies in different industries providing turn key and cost effective marketing solutions catered to specific market. MPGs main focus is live, retail & digital marketing. Rok Mišvelj has been its director for Slovenia since 2007. Ula has more than 15 years of experience in marketing. In Pristop Group, the leading Slovenian marketing agency, she was senior consultant, head of corporate communications, client service director, member of the management board and the executive board member. In recent years, she has been devoting a lot of her energy towards development of the entertainment field and into the management and organisation of events. She has founded her own company 18 years ago. Today, Rafaela Rica is a founder and manager of one of the biggest marketing and PR companies in Albania. The specialty of the company is that the team is literally the foundation stone of its success for most of the team members are part of the company since its creation. Iceberg Communications works in digital marketing, advertising, creative works, events, decoration, and PR & communication. Next articleNew looks on top … or where are the bees?